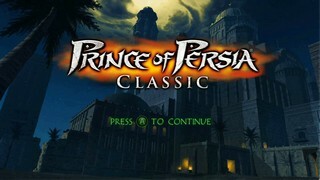 Released in June 2007 on Xbox 360 and October 2008 on PlayStation 3 by Gameloft, Prince of Persia Classic is a remake of the original Prince of Persia game. The gameplay is the same, featuring 2D platforming and swordfighting combat as you attempt to guide the prince out of the dungeon and out to his destiny, which is to beat up like, 5 different Jafars/Viziers. What is it with Jafars/Viziers and being evil? Best time: Single-segment 0:12:46.02 by 'Jaguar King' on 2013-03-14. Note: Runner used real time in the StatID but the ingame timer is accurate and is used instead.